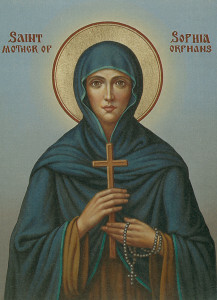 St. Sophia of Thrace was married and had six children. After sickness carried off Sophia’s husband and all her children in succession, she sold her property and gave the proceeds to the poor and to widows. Within a period of twenty years, she adopted one hundred children, and because of this, she is called St Sophia the Mother of Orphans. At St. Sophia’s Forgotten Felines, the homeless cats are our orphans that we have taken the responsibility of caring for. Our goal is to find permanent homes for them, and provide the best in temporary care during their time of transition.